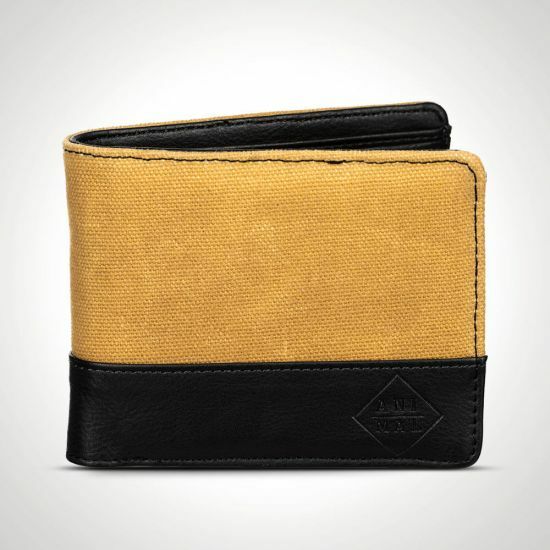 When you have an uncontrollable desire to get reckless, but you don’t fancy damaging property, endangering lives, and getting yourself arrested, there’s only one way to get your fix: this Animal Reckless wallet in vintage yellow! It knows that there’s a line between smart and casual… and it doesn’t care! With its aged yellow polyester and black PU exterior, it thrills in any situation. And, adding excitement to its undeniable aura, it has a debossed logo on its front face and a metal branding badge on its reverse side. But, even though this wallet is a rule-breaker, it still gives you everything you need. The black PU interior offers plenty of space for all your types of currency with its 3 card slots, its 2 cash slots, and its zip-up coin pocket! Sometimes it really pays off to be reckless, and that’s definitely the case with this wallet. So, if you’re feeling the need to smash the rules of fashion, get your Animal Reckless vintage yellow wallet today!